“Are you going to get tattoos on your face, Star,” asks Ninel Musson. She is the director of Vth Season, the indie company Bigstar Johnson is signed to and she also doesn’t have a poker face. “That’s what I really want to know,” she says and emphasises the “I” and we all laugh. The day I meet up with the rapper at the Vth Season headquarters, he is traveling with his friends and mobile tattoo artist, Ken Inkk. 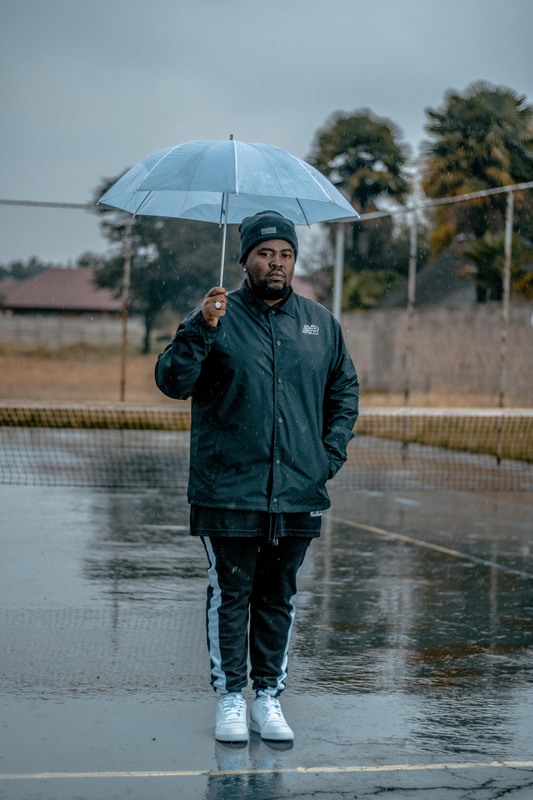 He aims to touch up fading tattoos and start a new one – a bear family on his arm – in between meetings and interviews about his debut album, Me and Mines. Bigstar already has two sleeves full of tattoos that mean a lot to him. There’s his father’s name, a pair of headphones, even the name Jesus, which was his first tattoo fie years ago, sprawled across across his arm. But even more permanent than that is the mark the 27-year-old rapper aims to leave on the music industry. Me and Mines is a 12-track album that marries old samples with new beats to allow Bigstar to wax lyrical about the current state of the nation, the state of rap and the state of relationships he’s in. It opens with Understand II, where he raps about the gaps between the haves and have nots. Something he hasn’t typically addressed since he burst onto the scene as the winner of The Hustle TV show. The song, which picks up from the insecurities he expressed on the first Understand, which he released years ago. Understand II presents a time when he feels more at home in music, when he has found love in the music. This is why he sampled Letta Mbulu’s There’s Music in the Air. The album has several samples or borrowed melodies. From Donnell Jones to Aaliyah to MC Lyte and lines popularised by the likes of HHP and more, it sounds like Bigstar heavily relied on nostalgia to reel people in. So I ask him if that wasn’t a cheat code to automatically endear himself to people because the samples make them feel fuzzy inside. Before he gets onto bottle feeding duty, Bigstar is talking to me about other drinks, as expressed in his infectious song Two Cups featuring Rouge. The pair first worked together on her hit single, Dololo, and their chemistry stays consistent on Two Cups.